AUTISM ACADEMY – At the Autism Academy, a school for children with autism, we know how autism impacts families. Stress seriously affects the quality of life for people with autism and their families. Stress significantly impacts all aspects of life, from school, jobs, physical and mental health, to relationships and behavior. In a recent survey, Research Autism found that 98 percent of people with autism and their caregivers said stress is a significant issue for them. Additionally, 89 percent added it is difficult or impossible to find effective support to deal with stress. Researchers cited an adult with autism who says stress makes her feel near suicidal, exhausted, and inadequate. Another adult with autism described stress as a constant companion. Stress in autism is much more common, severe, and disabling than in the general population. It often has long-term and devastating consequences. The survey confirms stress has a massive effect on health, especially mental health, relationships, education, and work. Parents agree that stress leads to family breakdowns. It is well known that stress is a big factor in autism and yet little investment is made toward research, understanding, and responding to it. Some of the ways children with autism are mistreated seem to make matters worse. Current research has also done little to reduce the significant stress found amongst families of children and adults with autism. This must change – our schools for children with autism aim to help families eliminate as much stress as possible. The first step is informing families about the most recent research and upcoming summits and seminars. Research Autism is organizing an international Stress Summit in September, to listen to people with autism, their families, professionals, and leading scientists, and researchers. The goal of the summit is to better understand the issues, explore the knowledge gaps, and identify the research priorities. Afterward, they plan to build on promising approaches. 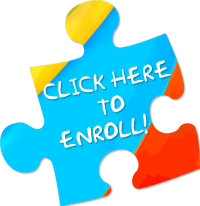 The Autism Academy aims to promote a stress-free learning environment. School leaders strategize for new and innovative approaches to help eliminate stress from all three of our campuses throughout the various communities. Developmental Director Shannon Mitchell and Tempe Autism Academy Principal Dr. Robert Rossi provided a list of options to help readers reduce stress. The Bridge Program utilizes online technology, webinars, resources, seminars, and special services to provide parents with the best information possible. (The first annual parent class focused on the topic of “An Emotionally Healthy Family”). Free Zumba classes are offered once a week for parents and kids at the Tempe campus. Gilbert, Tempe, and Peoria campuses all offer before and after care services. The Autism Academy offers working families a safe and comfortable place where students are welcomed and the entire family gains support. The school extends extra-curriculum options for social and academic fun that supports working schedules. The Autism Academy for Education and Development hosts family events that bridge families together and create healthy social gatherings. The school has organized picnics, movies nights, pizza parties, and so much more. It is a stress and judgment free time where everyone is accepted. Currently, limited transportation options are available for parents in specific school zones. Each Autism Academy campus has a parent group. These parents offer support to one another throughout the school year. They also sponsor fundraisers, have extra programs, and support the teachers. The Autism Academy publishes three to four monthly blog articles to raise awareness, promote research, and offer parents and readers added insight. The school hires highly qualified and a specialized staff who live the mantra of “kids first”. Pieces of Peace is a newly released Amazon.com charity book that celebrates the annual accomplishments, successes, and research offered through the Autism Academy. Continue reading our blogs to learn more about a school for autism and the children who benefit from going to the Autism Academy.